6 Dazzling decorative lighting fixtures. Pictured here: Mondo Pendant and Floor Lamp by Antonio Facco for Oblure (Oblure). 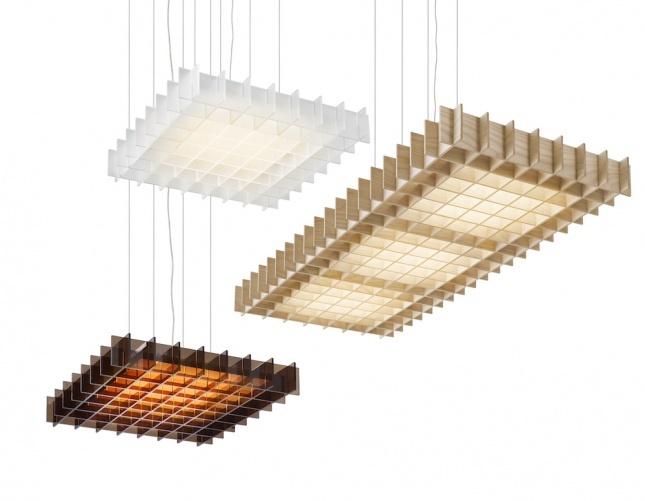 Below, you’ll find six fixtures that add atmospheric lighting and character to any space. 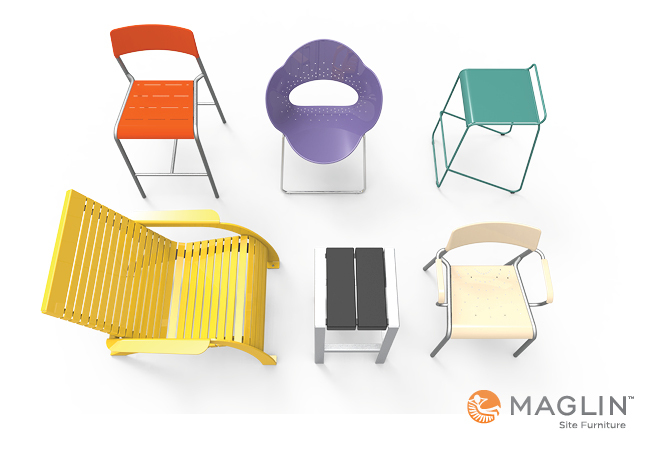 These illuminating releases recently debuted at the Interior Design Show in Toronto, MAISON&OBJET in Paris, the Stockholm Furniture & Light Fair, and Light + Building in Frankfurt. 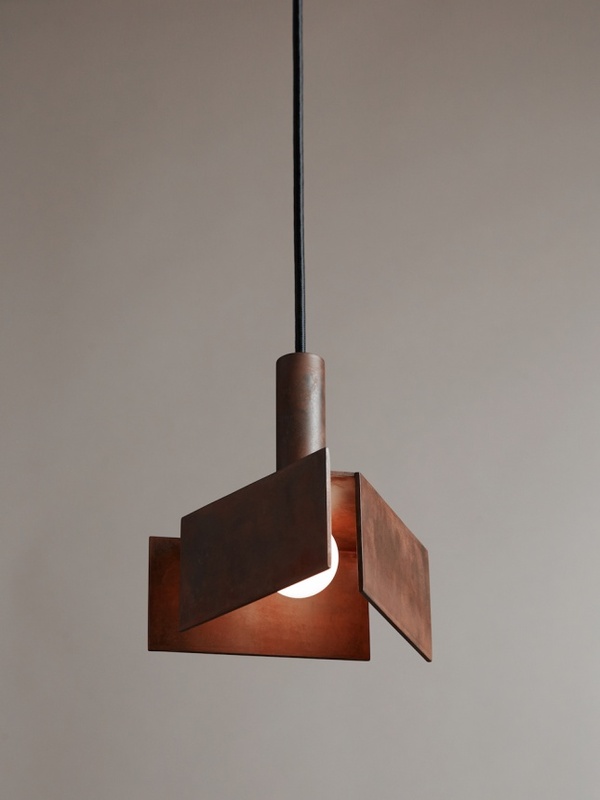 This small-scale iteration of the popular 2014 triangular fixture makes it usable in new compositions and spaces; its welded metal forms illuminate a triangular outline where the joinery is left exposed. Kuu, the pendant named after the Finnish for moon, was designed for both direct and indirect light via its rotating inner circle. 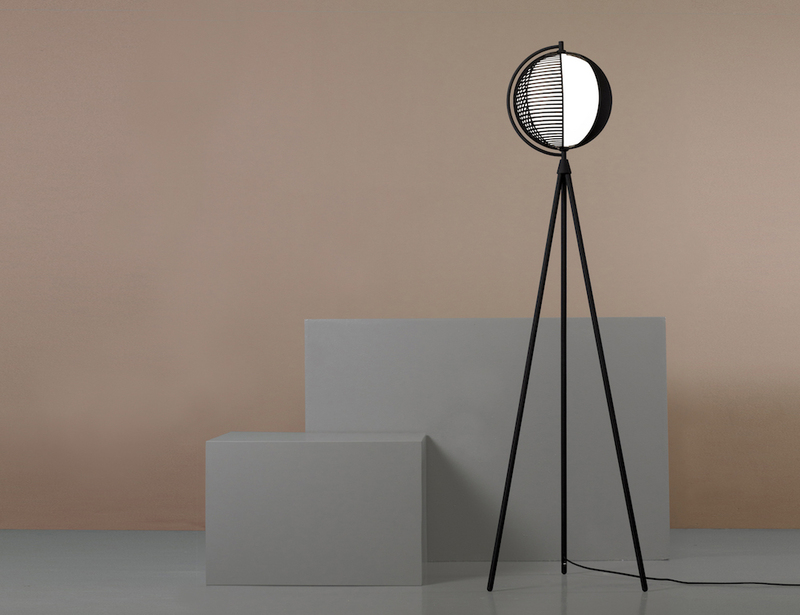 Made of plywood and acrylic, the obsidian light source is fitted with a wireless connection, allowing it to endlessly revolve within its oval enclosure. Imagined as a 3-D plane on a grid, this louvered framework emits glare-free lighting through translucent slats. The fixtures come as 18.5-by-18.5-inch squares or 18.5-by-46.3-inch rectangles and can be finished in ash wood as well as frosted and bronze acrylic. Like the reflectors used in a photography studio, this fixture projects a powerful source of light onto a large disk that diffuses and reflects light beams. With an unfixed base, the light-capturing membrane is easily adjusted; it is available in translucent white film or with an amber metallic finish. 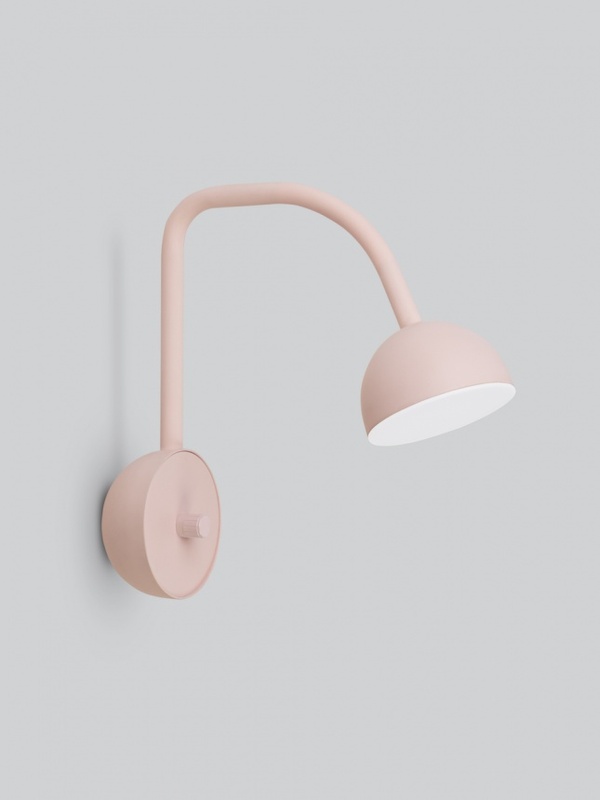 Norwegian design duo Morten & Jonas envisioned a pretty wall lamp shaped with subtle contours that guide ergonomic indicators, including a soft, bendable arm and rimmed rotating switch. The lamp is available in black and pink. 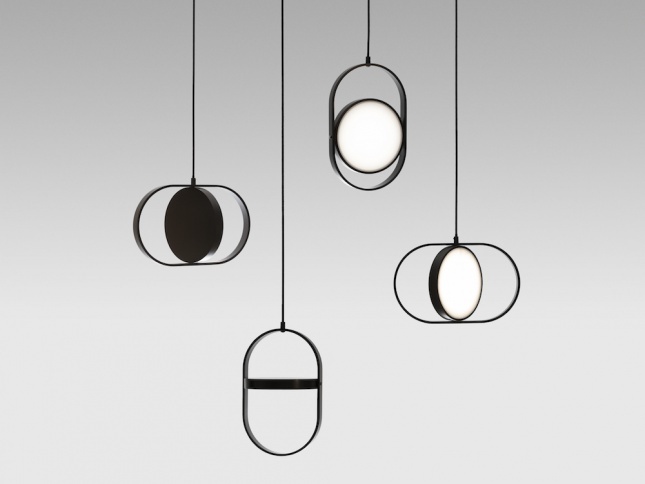 Made from 3-D laser-cut steel, this opal glass orb is enveloped in graphic black lines. 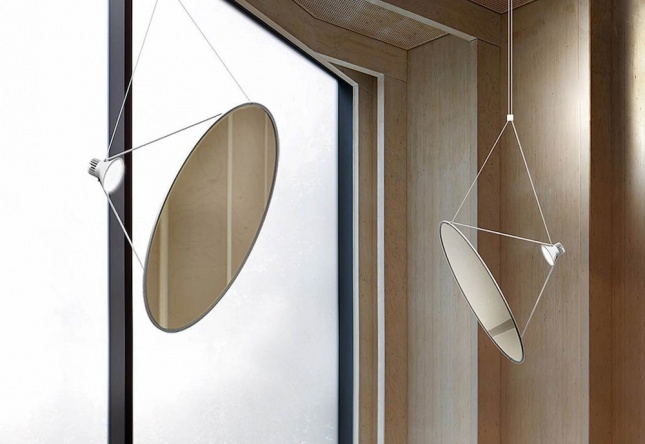 The kinetic, sculptural metal shades rotate and overlap each other to form various patterns.